Peanut lovers around the world can rejoice that an international group researchers led by the University of Georgia have found the beloved nut’s genome. Lead researcher on the project, Scott A. Jackson, says he process of decoding a genome requires sequencing the building blocks of the chromosomes, the a’s, c’s, t’s and g’s, and then decoding those proteins. Scientific infrastructure built in the process of finding the human genome paved the way for the peanut findings. Like our bodies, peanuts contain billions of cells, within which exist chromosomes. However, the chromosomal structure of peanuts are grouped in quads instead of the x,y pairs in humans. It is significantly more complicated to decode these types of genes. Yet peanut project did it with nearly half the time and funding as their human genome predecessor. Though the bulk of the six-year project took place in Georgia, the peanut industry and USAID compiled and funded research to decode the genome across the globe. The effects of this research span further than the lab. 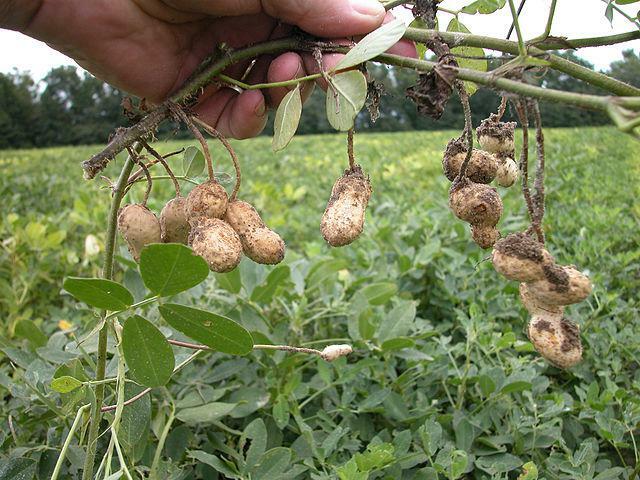 Peanuts are a major source of protein and nutrition around the world. Jackson says knowledge of the genome could lead to the creation of a crop that’s more adaptable to extreme climates, or empower women peanut farmers in developing countries. and so they’ll have more crop at the end of the year to feed their families,” Jackson says. As far as the research’s effects on peanut allergies, Jackson points to medical research and early exposure efforts as having the greatest influence. Jackson says the model of efficient genome sequencing built through this project will be used in the future to sequence genes of other nutritious crops.